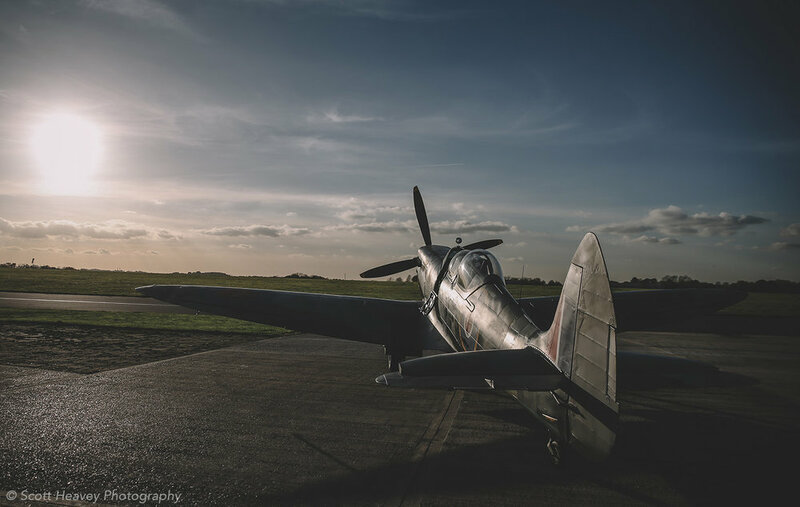 Activision had invited some influencers to Biggin Hill to not only play the new WWII game released this month but also to experience a flight in an actual Spitfire! The evening before the assignment I looked through pictures of Spitfires with my 4 year old son, George. We were both as excited as each other but when the inevitable question came 'what were they used for?' it wasn't easy to explain. Standing up close to these beasts was a real privilege. Luckily I did a better job of taking pictures than I did of hiding the fact I was more excited than George was about Spitfires! Last night I attempted to watch the Sky Arts programme 'Master of Photography' again. I say attempted because the last time I ended up shouting at the TV and my wife told me I wasn't allowed to watch it again because it makes me angry. She was right, of course. I got annoyed because of the comments from the judges. None of them made any sense to me. It was like they were being critical because that was what was expected of them. It annoyed me so much that I took matters in to my own hands and decided to look at Steve McCurry's Instagram page. Then I realised I hadn't actually tried it myself before so should shut my big fat mouth until I had. You wouldn't believe how many of these I took before I got one I liked. I got a bit bored of constantly shooting people looking at their mobile phones so decided this would show them who's boss. It wasn't until I took my headphones off that I realised this guy was actually playing! Laziest busker ever. There was a F1 event happening in Trafalger Sq and it was all I could do to put my 'news head' away and just leave it alone! I've recently thought with all the helpful road maps plotted all over London that the trusty A to Z would soon be a thing of the past. Apparently not. Needless to say it was harder than thought, even if it was only for a few hours but I'm pretty sure I can now watch the annoying Sky Arts programme with a bit more appreciation. Next up is something I've been meaning to do for a while which I saw a photographer I admire greatly Tom Oldham where he completed a set of 24 portraits in 24 hours in East London. I of course will be West of the river where my heart lies but it's basically the same premise but with more sequins and loafers. I'm not going to mention what a bloody nice bloke Anthony Joshua is because I'm pretty sure everyone already knows. So I'm afraid this post might be a bit boring for some of you with more technical chat than kissing the arse of the Heavyweight Champion. My only brief when Matchroom commissioned me was to capture the concentration and focus before his Box Office bout against Eric Molina tomorrow night. This screamed for close ups of his eyes which meant a lot of missed frames as catching such a big man with his speed through the ropes with a 400mm is harder than it sounds! I imagine the amount of times Anthony has been asked to put a fist up for a picture would be in the thousands now so I'm glad the brief didn't include that little beauty. Using nothing natural light can always be a risk but I got lucky with a crisp, sunny afternoon and the beautifully positioned windows with random stained glass meant I had light bouncing everywhere and it was almost like having a room full of reflectors! If there's one thing I've learnt since going freelance is it's good to go and meet people. Emails and messages cannot beat a face to face coffee and a haircut, obviously. This doesn't just mean potential clients but other photographers who I can draw inspiration from and discuss styles and ideas gets the juices flowing too. Huckle the Barber in London agreed to give the brothers an afternoon of pampering as welcome to the UK. The Barber shop of Lamb's Conduit Street in Holborn lent itself perfectly to the style of images I was after. With the original chairs and spotless white tiles there was plenty of natural light bouncing everywhere. Not having to set up lights whilst they still had customers coming and going was definitely a bonus. As a couple of my very good (rugby supporting) friends refer to football as Wendy-Ball I'm writing this post in their honour. I make no secret that over the past few years I've fallen out of love with football. Not just in the photography industry but as a whole and my reasons were perfectly summed up when I was listening to the annoyance of a caller to BBC Radio 5 Live who didn't like the fact that the Manchester derby was all about the managers instead of the teams. He said he'd go to the theatre if he wanted to see 'that sort of thing'. Unfortunately for him theatre is exactly what football has become. The hype, build up and (brilliant) montages which are designed to sell each match thrive on the drama football creates. You only have to look at the face on the referee after he's shown a multi millionaire teenager a yellow card to see they love playing the villain. Therefore my selected images for this post aim to show more than just two men who don't get on and the moment they might shake hands. Being as I'll be shooting a lot more rugby next year I thought I'd better post some stuff from those massive, scary blokes who chase eggs! Having come from a football background I can honestly say that working at a rugby match is a breath of fresh air and not hearing swearing or being spat at by fans makes it a much more pleasurable afternoon. Here's to a lot more Guinness, a few more Hoorays and a jolly good time to be had by all! I won't be mentioning any names here but one of the highlights of covering cricket is when it rained. Endless hours of waiting for play to start could result in a game of cards or eye spy. But when you have a 'gaggle' of sports photographers it is usually 'how many jaffa cakes can you fit in your mouth' (the record was 12) or how many rotations could be be completed on an office chair with one push (not sure of the record, but I do remember nearly bringing up my roasted quail at Lord's during a test match v Sri Lanka). But when this fine country does eventually adorn us with sun rays there is not a better job in the world than sitting back in a lazy boy fold down chair, leaning forward every three and half minutes and listening to leather on willow. At the end of last year I was commissioned by Wasps rugby to create a set of images for their tailoring company, Pins & Stripes to use in their new store at The Ricoh Arena and it was a great day. The players and management from the club were very welcoming and helped massively to complete the brief set by P&S. Last year I was commissioned by Getty Images to produce a set of portraits for Beazley and the British Fencing team and this year they invited me back to cover their last year of sponsorship event at Mansion House in London. It was yet another venue where I couldn't really lose. Every room and every angle was extremely grand and lent itself perfectly to the clean white suits. Each athlete was a true gentleman but being as they were holding swords I made sure I was very polite when directing them. I was the only photographer covering this and that gave me freedom to wander around this stunning place and capture some behind the scenes images which always add to the set. Mansion House is actually the residence of the Lord Mayor and if you're reading this, Sir I'm sorry I used the last of the toilet roll in your en suite. Is a selfie healthy? Or does this ginge make you cringe? A few years ago I heard that a photographer who shall remain nameless (because I've never heard of him) approached Arsene Wenger at the Emirates Stadium just before kick off and asked him to sign a couple of prints he had brought along in his camera bag. I've only ever done this once with Frank Lampard when I had him in the studio for a portrait session and we'd spent all afternoon together and I felt comfortable asking him during a break, but still had a feeling it was frowned upon and deemed unprofessional by my peers. Three years ago when I started as a freelance I have to admit that social media, my website and this blog didn't really interest me as I stupidly took self promotion for showing off. Since then I've come to realise that it's important to show current and potential clients that I'm busy and working alongside big names for big brands and a quick selfie on my phone is the best way to publish what I've been up to. Much of my current work is embargoed so it's hard to post the images I've taken straight away and my ugly mug seems to keep people interested. I'm almost certain that there are still some of my colleagues who think this sort of thing is shameless and part of some unwritten rule that we shouldn't break, but there are plenty of people I've worked with who I haven't asked for a quick snap. Sometimes because there's just not enough time and sometimes because we simply didn't hit it off and I wasn't comfortable asking. But the majority are happy and used to posing for selfies pretty much everyday. Personally, I'd like to think that it not only works as an update of what I'm up to but also that my subjects and I have enjoyed working together. It also helps me to realise when the barnet could do with a trim and the Just For Men ginger edition needs a little outing! The mix of jobs I've had during the summer has brought up a nice series of portraits from a number of different clients and makes a nice change from action photography on a pitch in the dark.